Payless ShoeSource is again shrinking its local footprint. The discount shoe retailer will close its location along the 16th Street Mall on March 12, a company spokeswoman said last week. 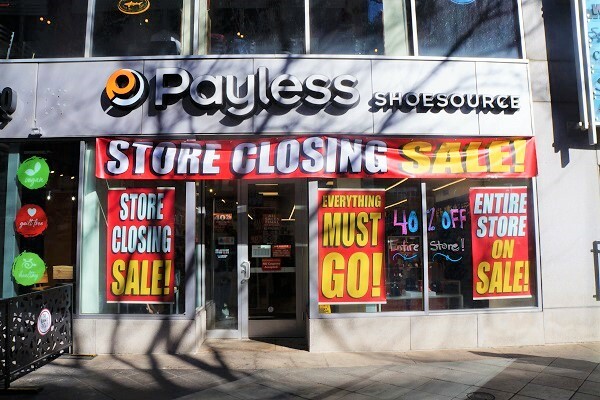 In April 2017, Payless ShoeSource Inc. filed for chapter 11 bankruptcy, and said it would close about 400 locations across the country, including three Colorado stores, in Sterling, Lakewood and Northglenn. The company emerged from bankruptcy later that year. Payless still faces challenges. Local media reports indicate the brand has been closing stores recently around the country. Reuters reported last month that the company had “hired an adviser to help evaluate strategic alternatives, including a sale or restructuring.” The news agency said the action “underscores the efforts Payless is making to avoid a second bankruptcy,” and that the company is considering closing one-third of its approximately 3,000 stores. The closure of the Payless at 821 16th St. will leave three other locations within Denver city limits and more than a dozen in the suburbs.